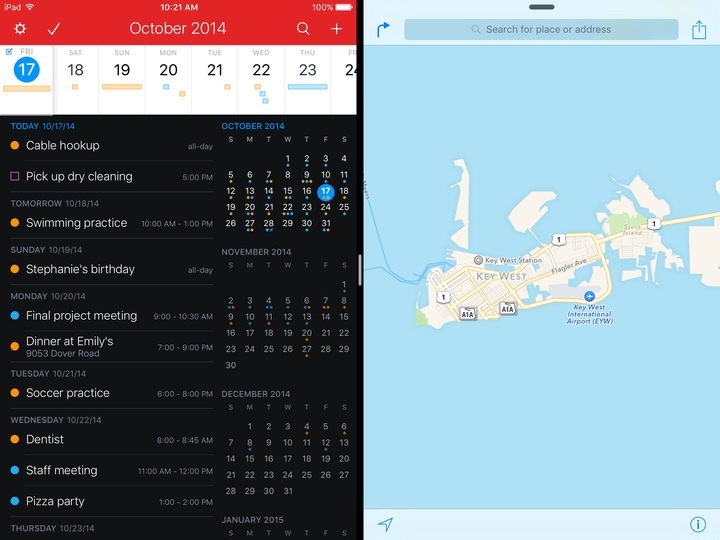 Flexibits today updated its popular Fantastical 2 apps for the iPad, iPhone, and Apple Watch with support for a range of iOS 9 and iPhone 6s features. Fantastical 2 for iPad now includes split-screen multitasking support, letting it be used simultaneously with other apps with iOS 9's Slide Over and Split-View multitasking modes. With Slide Over, users can pause one task to access their calendars to quickly schedule events or reminders, and with Split-View, Fantastical 2 can be used alongside another app. Slide Over works on the iPad Air and later and the iPad mini 2 and later, while Split-View is available on the iPad Air 2 and the iPad mini 4. The iPad version of Fantastical 2 also includes new iOS 9 keyboard shortcuts when using an external Bluetooth keyboard that are accessible when holding down the command key. 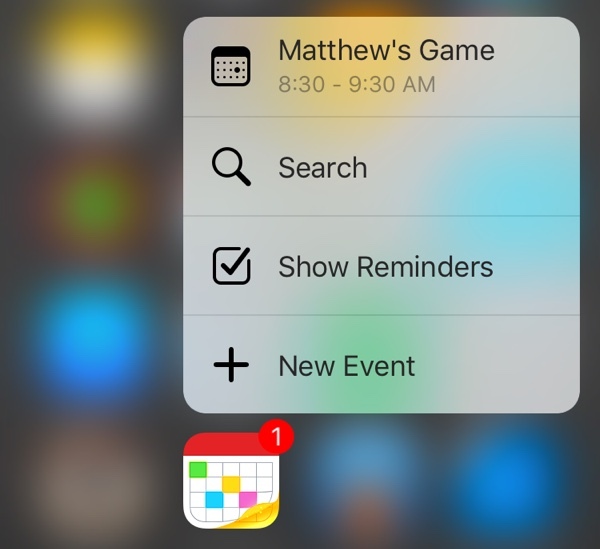 Fantastical 2 for the iPhone now includes support for 3D Touch on the iPhone 6s and the iPhone 6s Plus. A firm press on the Fantastical app icon on these devices will bring up a list of Quick Actions that lets users see upcoming events, add a new event, view reminders, and search through their calendars. On the Apple Watch, the Fantastical 2 app is now native on devices running watchOS 2, improving loading speeds and app opening times. There are also now Fantastical complications that include a "go to date" option, which can be used on any watchOS 2 watch face that supports complications. what does the small complication ring mean? # of tasks? Yup and if there aren't any more tasks for the day, it shows this cute little guy. Frankly, I would love an option to show next event starting time, just like Calendar complication. My iPhone app is acting as expected, but on my Watch it doesn't show any of my upcoming events. When I went into the glance it briefly showed me events, then updated to the new version and now shows "No Events Today"